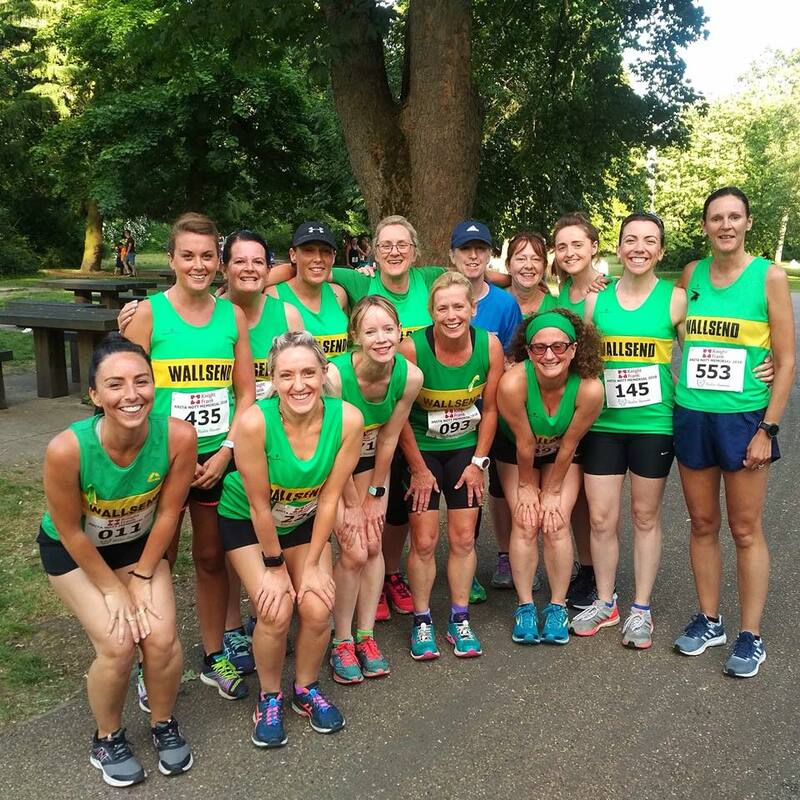 This week our ladies had a cracking turn out at the all female Anita Nott Memorial 5K at Jesmond Dene. Organised by Heaton Harriers it always feels like a very special race. It’s a tough course but very scenic and a lovely atmosphere. Alex Hemsley made her 5k debut in an incredible 20.37 (just think what she’ll do on the flat! ), followed by Sarah Robson 21.02 and Emily James 22.06, securing them a third female team prize! Everyone gave it their all, including Donna T and Julie C who had completed Hadrian’s Wall half marathon (with Joe Colligan) the day before! New mum Stacey is coming back stronger and stronger with each race and it was fab to see our wonderwoman Kayleigh back at this race. Our ladies were: Alex H, Sarah Robson, Emily J, Stacey Anderson, Donna Thompson, Julie Williams, Zahra, Christine, Kayleigh, Jackie Garnett, Lesley Cummings, Sharron Myers and Julie C. Results here. 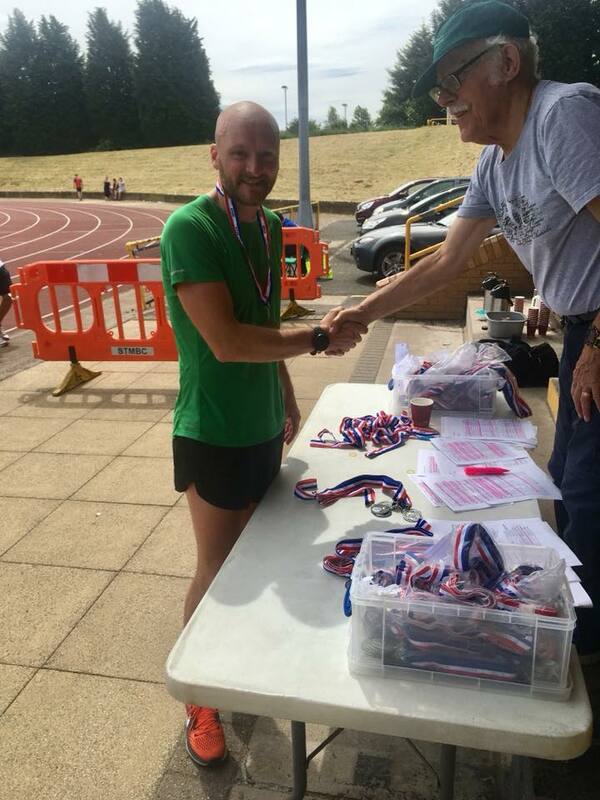 On the same night men’s captain Simon Lyon did the double in the North East Master’s Championships, winning gold in 800m and 1,500m. He is now the second fastest male 1,500m runner in his age category in the UK!!! So, so proud of you captain! The legend that is Paul Corrigan won four masters medals! 11 juniors represented North Tyneside and East Northumberland at the Minor’s County Championships at Hexham. NT finished in second place. From Wallsend we had Hannah, Alex, Millie, Martha, Jadzia, Joseph, Elexa, Jacob, Josh and Luke. 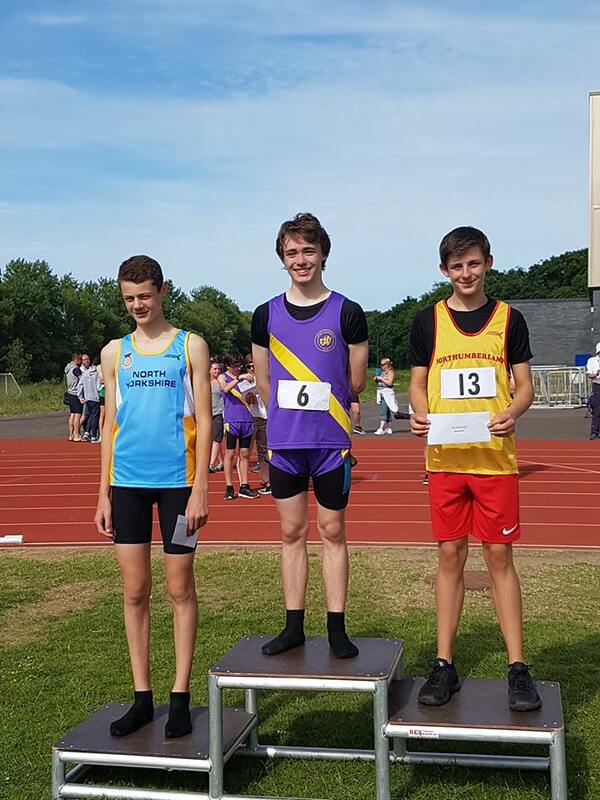 Alfie Ward finished second at the ESAA North East combined events regional finals. He scored PBs in four events and his final total of 2155pts is over 600 more than his total last year! He will now represent Northumberland at the ESAA national finals in September. Such a fantastic achievement Alfie. Well done from all of us. Alex, Hannah, Millie, Luke and Oscar were flying the Wallsend colours at York for the summer league. It was a day of personal bests with Alex jumping 3.60m in the Long Jump and Millie clearing 1.25m in the High Jump. Millie also finished third in the hurdles with her second fastest time of the season. Luke won his three events – the Long Jump with 3.87m, the 600m in a PB time of 1:59, and a Shot Put PB of 6.15m. Oscar also took part in the Long jump (his first time) with a solid 2.35m, then throwing the shot (also his first time) 3.34m for another personal best. Well done everyone. 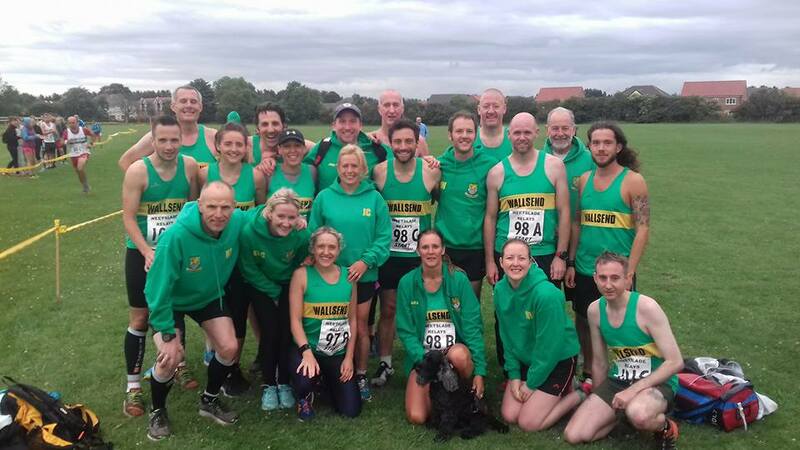 We had a fantastic number of mixed teams out for the popular (apart from the hill) Weetslade Relays. Fastest male was Kevin Wilson 14:41, fastest female was Alex Hemsley 17:13 and fastest vets were Mick Skeldon 16:09 and Donna Thompson 18:36. Earlier this month James Torbett, Kris Stobbs and Neil Armstrong took part in the Three Tops Fell Race. Donna and Julie W lapped up the Penshaw Half Marathon and at Newburn River Run we had Paul James, Joe Colligan, Stephen Taylor, Michael Costello and Michael Lindsay running. Well done to everyone who has been out and about showing off our club colours. You are all a credit to the team. Thanks to Ross on the Junior reports. « Danielle makes history at Blaydon!